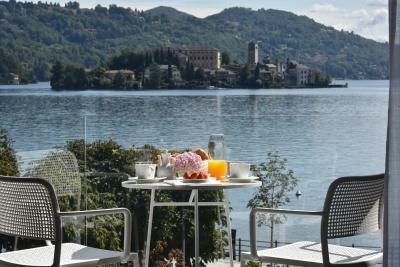 Lock in a great price for Casa Fantini - Lake Time – rated 9.4 by recent guests! Casa Fantini is amazing. Everything is hand picked, from the waste bin in the bathroom, to the loungers by the pool, everything is beautiful and high-quality. 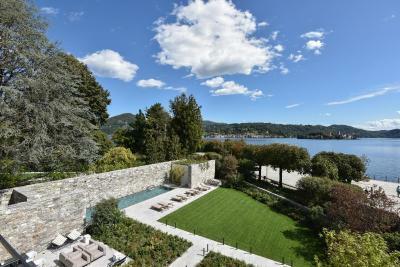 It is secluded and calm, with fantastic views of the lake. I loved the breakfast: no buffet, instead you will be asked what you like from a huge selection, and it will be served at your table. The food was lovely, and the staff makes your feel like you are at home, except you are tampered ;-). We felt at home from the first minute. Staff extremely helpful and friendly. Breakfast served until noon using local produce. 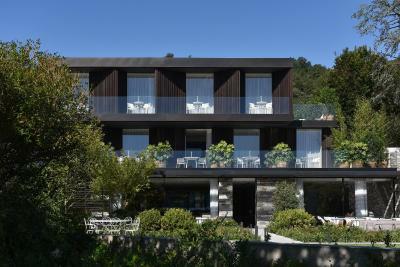 The modern architecture fits in with the old buildings around and the interior is well chosen. The staff is incredible. The location is incredible. 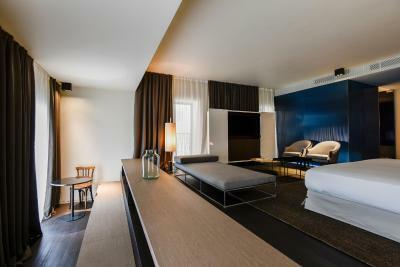 The hotel is design and comfort in perfection. One of the best experiences we were lucky to enjoy ever. IT was so good that I could live there forever! 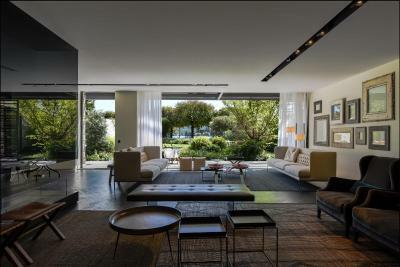 A fairy location which looked like a movie scene, and in the middle Casa Fantini, as an architectural masterpiece. Cant say more. We will definitely come back as soon as we can. 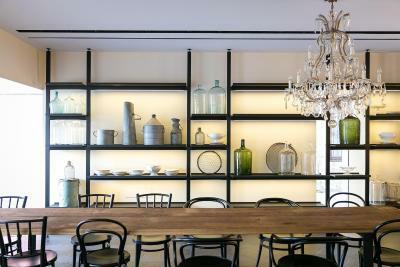 Beautiful small boutique hotel, friendly attentive staff, well appointed public and guest areas. 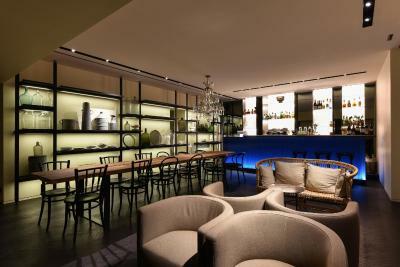 We enjoyed the pool and gardens and especially like the Blu Cafe terrace for aperitif and dinner. Location on the lake is perfect and ferry stop within 100m ( we did not get a chance to explore lake as too content staying in the hotel - but will next time). What is really great is less than 1 hour to Milan Malpensa Airport. Exzellenter Service. Das Hotel befindet sich in neuwertigem und sehr gepflegten Zustand. Das Frühstück war im Preis inbegriffen und wird einem persönlich serviert. 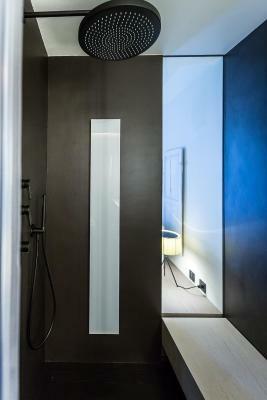 Das Badezimmer hat eine Dusche mit Dampfsauna-Funktion, welche hervorragend funktioniert. Ein gemütlicher Balkon mit blickdichter Bepflanzung links und rechts zu den anderen Zimmern ist ebenfalls gut gelöst. Für mich ist dieses Hotel jedes seiner 5 Sterne wert und ich kann es nur wärmstens weiterempfehlen. Es eignet sich perfekt um ein paar Tage in Ruhe entspannen zu können. Ich freue mich bereits jetzt auf den nächsten Aufenthalt im Casa Fantini. C'est un hôtel de 11 chambres où l'on se sent très vite chez soi. Très récent, une année d'existence, tous les équipements sont très designs et recherchés , l'architecte a pensé un lieu qui atteind l'excellence. Le personnel est très attentionné ! Nous y retournerons dés que possible. ホテルのほぼ前に、島と対岸を結ぶ船が発着するので大変便利。 The ship with which a hotel ties an island and an opposite shore at the front mostly departs and arrives, so it's very convenient. 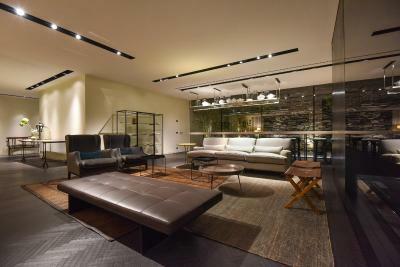 La struttura di design è bellissima contemporanea ed emozionante da qualsiasi angolazione!! 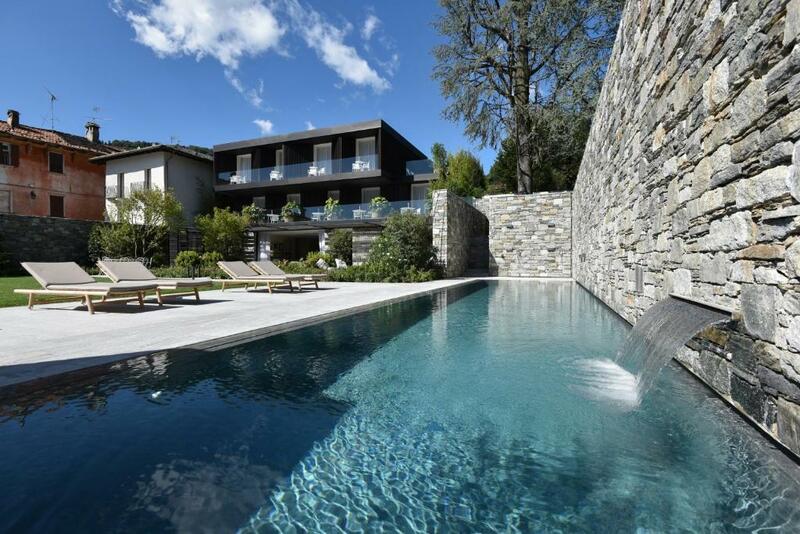 Casa Fantini - Lake Time This rating is a reflection of how the property compares to the industry standard when it comes to price, facilities and services available. It's based on a self-evaluation by the property. Use this rating to help choose your stay! 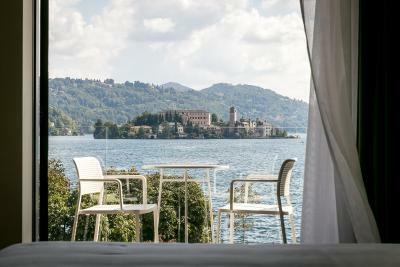 One of our top picks in Pella.Boasting a peaceful location and lake views, Casa Fantini - Lake Time is a boutique hotel on the shores of Lake Orta, in Pella. 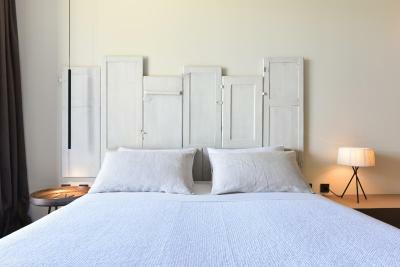 Combining contemporary design and natural materials, rooms and suites at Casa Fantini come with wooden floors and elegant textiles. 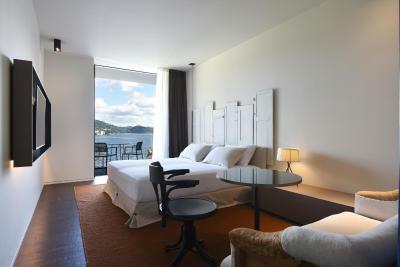 All units are air conditioned and feature a balcony or a terrace overlooking San Giulio Island. 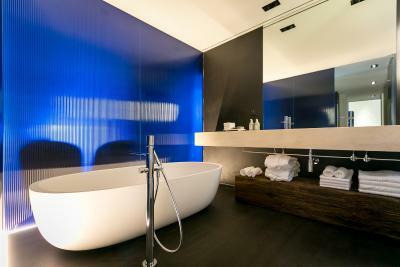 The spacious bathroom includes a shower with Turkish bath. You can enjoy the surrounding nature while relaxing in the garden. In the warmer months, an outdoor pool is at guests' disposal. Free WiFi is featured throughout. Orta San Giulio, on the other side of the lake, can be reached via taxi boat. Milan Malpensa Airport is 28 mi away, while Milan city center can be reached by car in about 60 minutes. When would you like to stay at Casa Fantini - Lake Time? 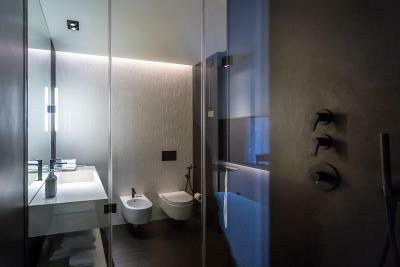 Offering lake views and a furnished terrace, this modern room features a private bathroom with Turkish bath. Free WiFi and air conditioning are also provided. Offering lake views and a furnished balcony, this modern room features a living area and a private bathroom with Turkish bath. Free WiFi and air conditioning are also provided. Offering lake views and a private balcony, this modern suite has a living area and a dressing room. 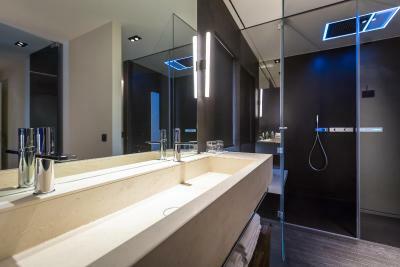 The bathroom features a shower with Turkish bath, and a self-standing bath. Free WiFi and air conditioning are also provided. House Rules Casa Fantini - Lake Time takes special requests – add in the next step! ATM card Casa Fantini - Lake Time accepts these cards and reserves the right to temporarily hold an amount prior to arrival. Casa Fantini - Lake Time accepts these cards and reserves the right to temporarily hold an amount prior to arrival. Please inform Casa Fantini - Lake Time of your expected arrival time in advance. You can use the Special Requests box when booking, or contact the property directly using the contact details in your confirmation. Feel airconditioning not working too well, fan controls seem to make no difference - we moved rooms but both were the same. Room only cooled down when we opened the windows.